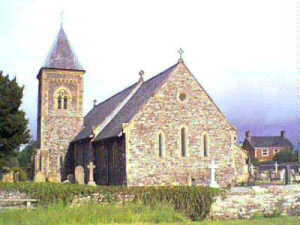 Left:- St. Padarn's Church at Llanbadarn Fyndd. 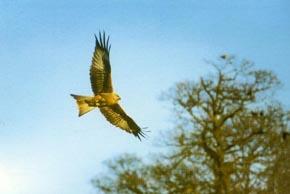 These beautiful birds of prey are fed daily together with Ravens, Buzzards and other Carrion feeding birds. Feeding takes place at 2 o'clock G.M.T. Hides are suitable for wheelchair access and viewing. Badgers - Watch these nocturnal creatures go about their nightly routines. Live pictures on selected evenings via C.C.T.V., recorded footage at other times.